UADM was founded at the University of Alabama in October 2011 by Tyler Rigdon and Alexandra Rhett. It was created as a part of the national Dance Marathon network as a way to unite campus for a common cause, and was sponsored by Honor's College. 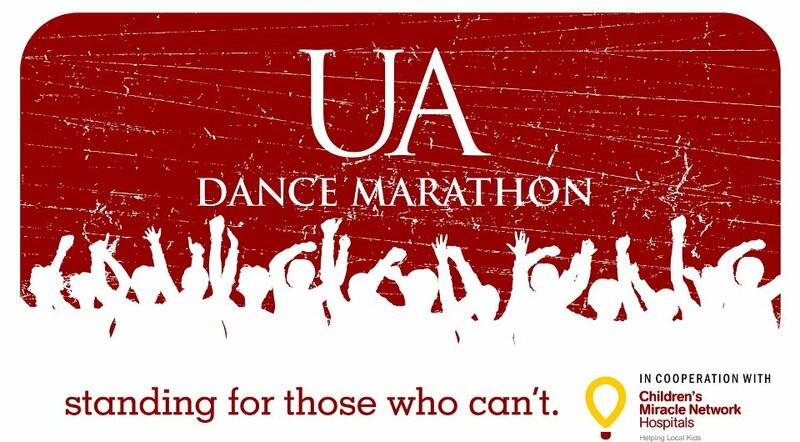 The Big Event, UA Dance Marathon, was held on April 20, 2012 with 150 participants standing for 8 hours. $14,952.28 was raised for Children's of Alabama. Founding Members of UADM: Allison Franklin, Ann Elizabeth Holley, Bekah Macker, Caroline Bechtel, Chelsea Musser, Eric Alsobrook, Erin Dittrich, Gloria Kelly, Holly Gray, Jamie Lynn Marshall, Kevyan Armstrong-Wright, Katie Klootwyk , Mary Izzo, McKenzie Pope, Rachel Coleman, and Taylor Gola.